“God so loved the world that he gave his only-begotten Son, so that everyone who believes in him might not perish but might have eternal life. But whoever lives the truth comes to the light, so that his works may be clearly seen as done in God.” -John 3:16-21. Catherine, the daughter of a humble Christian tradesman, was raised up to be the guide and guardian of the Church in one of the darkest periods of its history, the fourteenth century. As a child, prayer was her delight. She would say the Hail Mary on each step as she mounted the stairs, and was granted in reward a vision of Christ in glory. And He revealed to her the secrets of Christian perfection. When only seven years old she made a vow of virginity, afterwards enduring bitter persecution for refusing to marry. 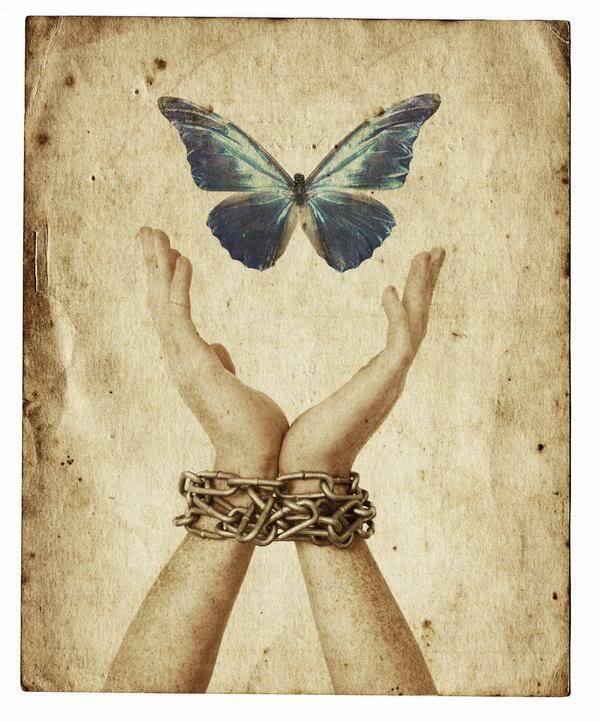 Her parents persisted long in their refusal to allow her to enter religious life, her only ambition; but she made a kind of spiritual and penitential convent cell in her heart’s depths, and there she found her Beloved and conversed with Him each day. At the age of fifteen she was permitted to enter the Third Order of Saint Dominic, but continued to reside in her father’s house, where she united a life of active charity to the prayer of a contemplative Saint. Our Lord bestowed on her His Heart in exchange for her own, gave her Communion with His own hands, and imprinted on her body the marks of His wounds. From this obscure home the seraphic virgin was taken by Providence to defend the Church’s cause. Her life became a continuing miracle. Armed with Papal authority and accompanied by three confessors, she traveled through Italy, reducing rebellious cities to the obedience of the Holy See, and winning hardened souls to God. In the sight of virtually the whole world she sought out Gregory XI at Avignon, brought him back to Rome, and by her letters to the kings and queens of Europe made good the Papal cause. She was the counselor of Urban VI, and sternly rebuked the disloyal cardinals who took part in electing an antipope. Long had the holy virgin foretold the terrible schism which began before she died. Day and night she wept and prayed for unity and peace. But in spirit she saw the entire city of Rome full of demons, who were tempting the people to revolt and even to slay the Vicar of Christ. 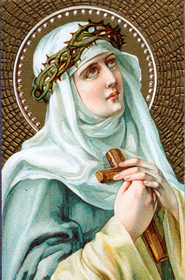 With intense earnestness Saint Catherine begged Our Lord to prevent this enormous crime. Their seditious temper was subdued by her prayers, but they vented their rage by scourging the Saint herself, who gladly endured all for God and His Church. She died in Rome in 1380, at the age of thirty-three. Raphael Arnáiz Barón was born in Burgos (Spain) April 9, 1911, into a prominent, deeply Christian family. He was baptised and confirmed in Burgos and began his schooling at the Jesuit college in the same city where, in 1919, he was admitted to first Communion. It was at this time that he had his first experience of illness: persistent fevers due to colibacillosis forced him to interrupt his studies. To mark his recovery, which he attributed to a special intervention of the Virgin Mary, his father took him to Zaragoza and consecrated him to the Virgin of Pilar. This experience, which took place in the late summer of 1921, profoundly marked Raphael. When the family moved to Oviedo, he continued his secondary schooling with the Jesuits there, obtaining a diploma in science. He then enrolled in the School of Architecture in Madrid, where he succeeded in balancing his studies with a life of fervent piety. Possessing a brilliant and eclectic mind, Raphael also stood out because of his deep sense of friendship and his fine features. Blessed with a happy and jovial nature he was also athletic, had a gift for drawing and painting as well a love for music and the theatre. But as he matured, his spiritual experience of the Christian life deepened. Although the study of architecture required a great deal of hard work and discipline, at that time he began the practice of making a long daily visit to the Blessed Sacrament in the Chapel of “Caballero de Gracia”. He even joined the Nocturnal Adoration Association, and faithfully took his turn before the Blessed Sacrament. In this way his heart became well disposed to listening, and he perceived an invitation from God to lead the contemplative life. 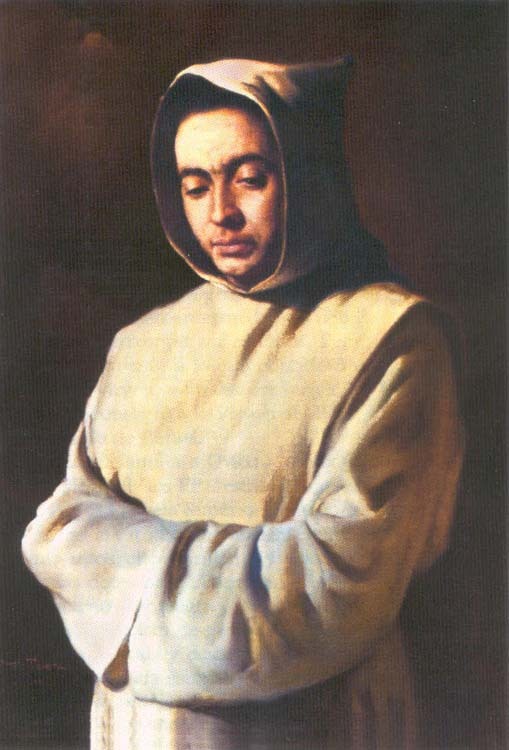 Raphael had already been in contact with the Trappist monastery of San Isidro de Dueñas, and he felt strongly drawn to this place, responding to his deepest desires. In December of 1933 he suddenly broke off his professional studies and on January 16, 1934 entered the monastery of San Isidro. infirmity: a serious form of diabetes mellitus which forced him to leave the monastery immediately and return to his family in order to receive the proper care. Barely recovered, he returned to the monastery, but his illness forced him to leave the monastery for treatment again and again. But whenever he was absent he wanted to return, responding faithfully and generously to what he understood to be a call from God. Sanctified by his joyful and heroic fidelity to his vocation, in his loving acceptance of the Divine will and the mystery of the Cross, in his impassioned search for the Face of God, fascinated by his contemplation of the Absolute, in his tender and filial devotion to the Virgin Mary-“the Lady”, as he liked to call her-his life came to an end on April 26, 1938. He was barely 27 years old. He was buried in the monastery cemetery, and later in the Abbey church. The fame of his sanctity rapidly spread beyond the walls of the monastery. The example of his life together with his many spiritual writings continue to spread and greatly profit those who get to know him. He has been described as one of the great mystics of the twentieth century. On August 19, 1989, the Holy Father John Paul II, on World Youth Day at Santiago de Compostella, proposed him as a model for young people today, and beatified him on September 27, 1992. Pope Benedict XVI canonized him on October 11, 2009 and presented him as a friend and intercessor for all the faithful, especially for the young. “When Jesus had risen, early on the first day of the week, he appeared first to Mary Magdalene, out of whom he had driven seven demons. He said to them, “Go into the whole world and proclaim the gospel to every creature.” ” -Mark 16:9-15. “Jesus revealed himself again to his disciples at the Sea of Tiberias. He revealed himself in this way. Together were Simon Peter, Thomas called Didymus, Nathanael from Cana in Galilee, Zebedee’s sons, and two others of his disciples. So they went out and got into the boat, but that night they caught nothing. When it was already dawn, Jesus was standing on the shore; but the disciples did not realize that it was Jesus. So they cast it, and were not able to pull it in because of the number of fish. When Simon Peter heard that it was the Lord, he tucked in his garment, for he was lightly clad, and jumped into the sea. The other disciples came in the boat, for they were not far from shore, only about a hundred yards, dragging the net with the fish. 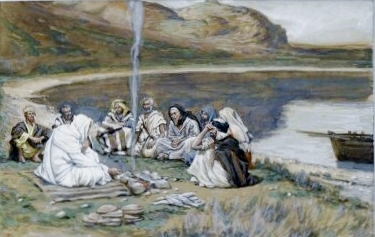 When they climbed out on shore, they saw a charcoal fire with fish on it and bread. And none of the disciples dared to ask him, “Who are you?” because they realized it was the Lord. 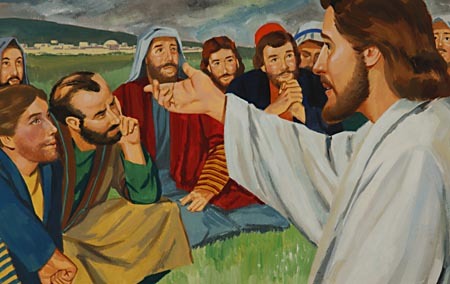 Jesus came over and took the bread and gave it to them, and in like manner the fish. This was now the third time Jesus was revealed to his disciples after being raised from the dead.” -John 21:1-14. 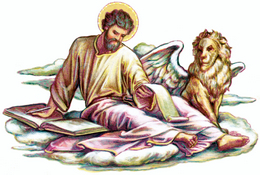 Saint Mark was converted to the Faith by the Prince of the Apostles, whom he later accompanied to Rome, acting there as his secretary or interpreter. When Saint Peter wrote his First Epistle to the churches of Asia, he affectionately joined to his own salutation that of his faithful companion, whom he calls my son Mark. The Roman people entreated Saint Mark to put in writing for them the substance of Saint Peter’s frequent discourses on Our Lord’s life. This the Evangelist did under the eye and with the express sanction of the Apostle, and every page of his brief but graphic Gospel so bore the impress of Saint Peter’s character, that the Fathers used to name it Peter’s Gospel. Saint Mark was then sent to Egypt to found the Church of Alexandria. There his disciples became the wonder of the world for their piety and asceticism; Saint Jerome speaks of Saint Mark as the father of the anchorites who at a later time thronged the Egyptian deserts. There, too, he set up the first Christian school, the fruitful mother of many illustrious doctors and bishops. After governing his see for many years, Saint Mark was seized one day by the heathen, dragged by ropes over stones, and thrown into prison. On the morrow the torture was repeated, and after receiving the consolation of the sight of Angels and the voice of Jesus, Saint Mark went to his reward. It is to Saint Mark that we owe the many pictorial touches which often give such vivid color to the Gospel scenes, and help us to visualize the very gestures and appearance of our Blessed Lord. It is he alone who notes that in the temptation Jesus was with the beasts; that He slept in the boat on a pillow; that He embraced the little children. He alone preserves for us the command, Peace, be still! by which the storm was quelled, and even the very Aramaic words He spoke, the Ephpheta and the Talitha, cumi! by which the dumb were made to speak and the dead to rise. Reflection: Learn from Saint Mark’s Gospel to keep the image of the Son of man ever before your mind, and to ponder every syllable which fell from His lips. Benedict Menni, who is being raised to the altars today, was a faithful follower of Saint John of God and, through his words and deeds, was a Herald of the Gospel of Mercy and a new Prophet of Hospitality. The city of Milan was his cradle: he was born there on 11 March 1841 and baptized the same day. He was named Angelo Ercole, almost as a portent of the Herculean spirit and strength that was to characterize his whole personality. He was the fifth of 15 children born to Luigi Menni and Luisa Figini. His warm and hospitable home gave him the support and stimulus he needed to develop his intellectual powers and his personality. God’s call came early on: faithful to his conscience, he gave up a good position in a bank, and with his selfless attitude to the suffering he volunteered to work as a stretcher-bearer to assist the soldiers wounded on the battlefield at Magenta, near Milan. Attracted by the spirit of dedication and self-denial which he discovered in the Brothers of St John of God, at the age of 19 he applied to enter the Hospitaller Order. He began his Religious life taking the name Benedict, and consecrated himself to God and to the care of the sick. And today we venerate him with the same name: Saint Benedict Menni. It was during his nursing and priestly studies that his Religious Hospitaller personality was gradually fashioned, which he placed at the disposal of his Superiors, embracing the cause of helping the most needy members of society, so many of whom were sick. At that time Spain, the cradle of the Hospitaller Order, was embroiled in political strife, with open hostility to all the Religious Orders, and the work of St John of God was practically dead. It needed a new lease of life, and Benedict Menni was to be the man of providence to bring it about. He was sent to Spain in 1867, and it was there that he performed his two great works: he restored the Order of St John of God and founded the Congregation of the Hospitaller Sisters of the Sacred Heart of Jesus. Thanks to his magnanimous spirit, his great capabilities and state of mind, he overcame many difficulties and did so much good to help the sick, providing them with comprehensive care. Sent to Spain by the Prior General of the Order, Fr Giovanni M. Alfieri, who always supported him, and with the blessing of Pope Visitor and Prior General of the Order Pius IX, even before he left Rome Benedict Menni demonstrated a will of iron and a determined spirit. Only a few months after his arrival in Spain he set up his first children’s hospital in Barcelona (1867), marking the beginning of his extraordinary work of restoration, which he was to carry through over the next 36 years. From the first moment, thanks to his commitment to his vocation, numerous generous followers rallied around him, and it was through them that he was able to guarantee continuity to his new Hospitaller institutions that were springing up in Spain, Portugal and Mexico, to spread subsequently throughout the New World. When he arrived in Granada (1878), Benedict Menni came in contact with two young women, Maria Josefa Recio and Maria Angtistias Gimenez, who set up a new women’s hospital specifically to provide psychiatric care in 1881. It was at Ciempozuelos, Madrid, that the Mother House of the “Congregation of the Hospitaller Sisters of the Sacred Heart of Jesus” was founded, receiving the approval of the Holy See in 1901. Six words summarize their identity in the Hospitaller service: “pray, work, endure, suffer, a love God and silence”. The new Institution soon spread its wings of merciful charity by becoming established in several countries in Europe and Latin America, and later on in Africa and Asia. At the present time, as the Congregation celebrates the canonization of its founder, Benedict Menni, the Sisters are present in 24 countries, with over 100 Hospitaller Centres. Benedict Menni, their Founder and spiritual Father, imbued them with his own charismatic spirit of St John of God and for over 30 years continued to provide them with his guidance and formation in Hospitaller ascetics. The opera magna wrought by Benedict Menni as a Restorer and Founder spread, at the request of the Holy See, to the whole Order when he was appointed Apostolic Visitor (1909-1911) and subsequently Prior General (1911), which he had to resign one year later as a result of misunderstandings, and for health reasons. He spent the last two years of his life in humility and purification, and died a holy death at Dinan, France, on 24 April 1914. His mortal remains were taken by the Spanish Brothers to Ciempozuelos, and today are venerated under the high altar in the Founders’ Chapel in the Hospitaller Sisters’ Mother House there. The process to acknowledge his holiness opened in the diocese of Madrid where he is buried, in 1945-1947, and his virtues were recognized as heroic by the Congregation for the Causes of the Saints on 11 May 1982, so that he was able to be called ” Venerable”. After official acceptance of the miraculous healing of Asuncion Cacho thanks to his intercession, he was proclaimed “Blessed” in St Peter’s Basilica on June 23, 1985 and « Saint » on November 21, 1999 by Pope John Paul II. 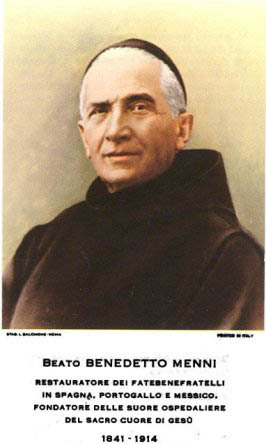 In addition to his total dedication which bore such fruit, his holy and sanctifying conduct, his life offered entirely to God and to the sick with total generosity, the witness borne by Benedict Menni has regained all its topical relevance today with his canonization, which is offering him to the universal Church as a model and an example to be followed, particularly by those working in health care. Humanization and evangelization are challenges to the new millennium. St Benedict Menni recalls to us and enlightens the words of our Lord, “I was sick and you visited me… Come, O blessed of my Father”. Health care uses the benefits brought by scientific and technological progress, but frequently it is the “heart” which is missing in patient care. Health care is often concerned more with the sickness than the sick, who are often viewed as numbers or clinical cases rather than as brothers and sisters to be cared for and ministered to, as persons made in the image of a suffering God.